If you suffer from constant cavities, then it may be tempting to blame it on the “soft teeth” you inherited from your parents. In reality, your teeth aren’t the problem your parents passed on. Cavities are caused by a bacterial infection. Specific germs produce an acidic waste product that wears away holes in tooth enamel. As the holes get bigger, more bacteria move in and continue the destruction. You weren’t born with those cavity-causing germs. You picked them up (as everyone does) from your parents soon after birth. In that sense, you did inherit tooth decay from your mom and dad! What about having soft teeth? It’s very uncommon to be born with a true enamel defect, so “soft teeth” isn’t really a thing for most people. However, if you drink a lot of soda pop, then you could be speeding up the decay process. Drinks like soda wear away tooth enamel. The sugar or artificial sweeteners in them also provides the food cavity-causing bacteria need. If you aren’t careful, your diet could actually be “softening” your teeth. You don’t have to accept tooth decay as a genetic curse when there’s something you can do about it. Limit sugary treats and drinks. Occasional and brief indulgences won’t hurt, but that daily pop-sipping habit has to go. Pay attention to your oral hygiene routine. Brush two to three times a day with a fluoride toothpaste and floss at least once a day to remove germs from between your teeth. 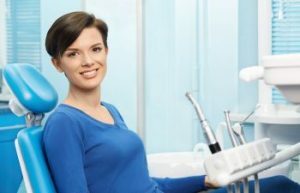 Finally, visit a Marietta dentist for a cleaning and cavity check to learn about other ways to prevent decay. Call our team at Dental Care Center at Kennestone to schedule your next appointment.